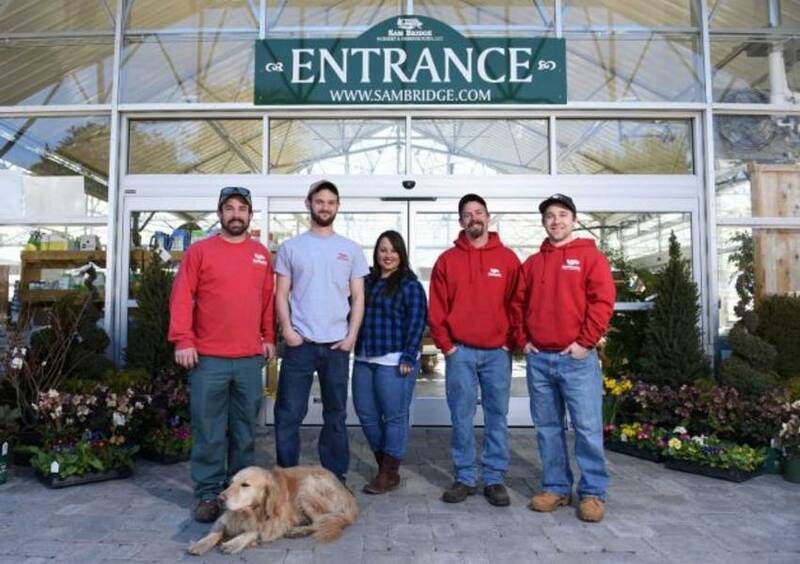 Sam Bridge | About us | Nursery & Greenhouses LLC. 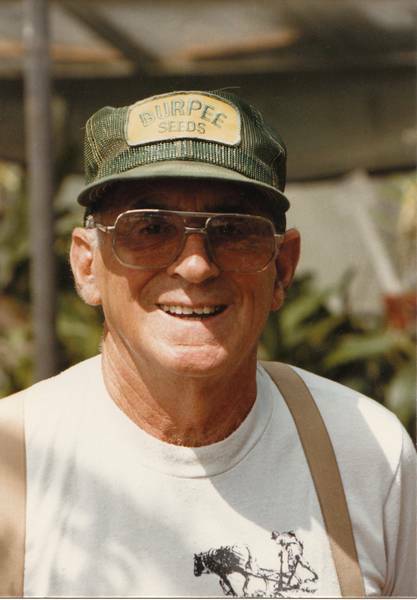 Sam Bridge Nursery & Greenhouses was started in 1930 by Samuel F. Bridge Jr. when he planted some evergreen cuttings in his father’s cow pasture. Later that year he built his first greenhouse to grow and store geranium cuttings for his mother and her friends. Sam studied horticulture at the New York Botanical Gardens, Cornell University and Kew Gardens in England just before the outbreak of WWII. After serving his country for five years, he returned home to find weeds had taken over his nursery. With determination and hard work, he started over again growing perennials and rock garden plants. In 1950, Sam married Mary Reynolds. Mary owned 48 acres of land on North Street, part of which is now the present site of the nursery. The original tract of land was 125 acres and a grant from King George. We are proud to say that this land has been used only for agriculture and been in our family since 1686. 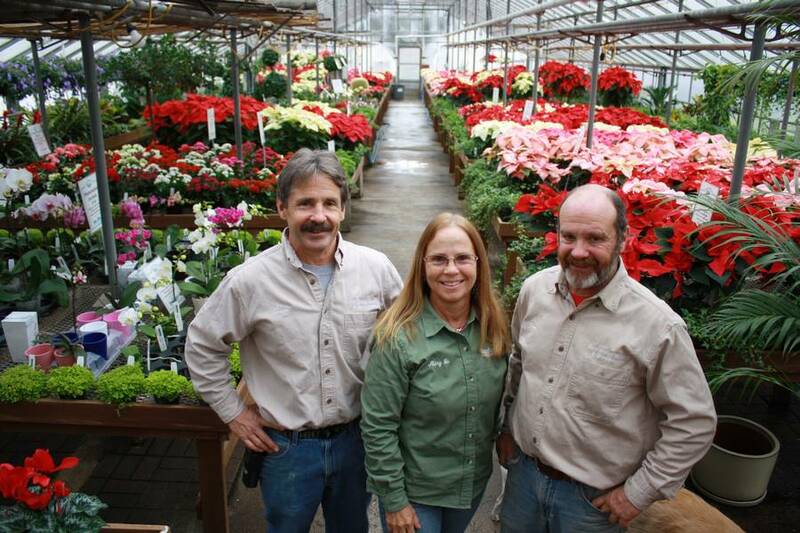 In 2002 Sam Bridge Nursery & Greenhouses received the Connecticut Century Farm Award for keeping with tradition and continuing to use our land for farming. By 1956 the nursery was moved to its current location. A 100 square foot metropolitan glass house was built and the 33 foot original greenhouse was attached to the barn. The main crops grown were: field grown perennials, rock garden plants and bedding plants. Between 1976 and 2013 we added 10,000 square feet of gutter houses and 23 hoop houses. In 1990 a partnership was formed between Sam Jr.’s children, Sam III, Mary Jo and Ron; with even more improvements and upgrades to follow. By 1994, the two old cash registers were replaced by computerized point of sale systems as our business continued to grow. With the changes, customers still enjoyed the prevailing rustic, farm like atmosphere. In 2010 at 95 years, old Sam Jr. passed away peacefully in his home. We consider ourselves lucky to have had Sam Bridge Jr. working with us every day until a month before his passing. In November 2014, we completed renovations to our facility, leaving us with a brand new gutter connected Nexus greenhouse that holds our new store, retail space, growing area, potting and shipping areas. The new facility allows us to be energy efficient and eco friendly while we continue to bring our customers the best quality and best selection of plants for each and every season.